We've seen it leaked a few times, but Samsung has beaten the Mobile World Congress rush and officially unveiled the Galaxy Note 8.0. The device is basically a super-sized version of the Note 2 smartphone, right down to the physical home button (a first for Samsung's post-Android 3.0 tablets), call capability, and vertical orientation. The screen is an 8-inch 1280x800 panel, and it's unfortunately a TFT LCD - I had been hoping that they would make it Super AMOLED, and create a spiritual successor to the sadly underutilized Galaxy Tab 7.7. 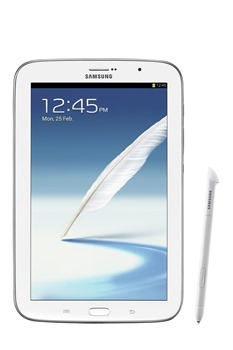 Naturally, you get the S-Pen and all of Samsung's custom TouchWiz applications on top of Android 4.1.2. Underneath the hood you get a beefy 1.6Ghz Exynos A9 quad-core processor, 2GB of RAM, 16 or 32GB of storage, and an open MicroSD card slot. 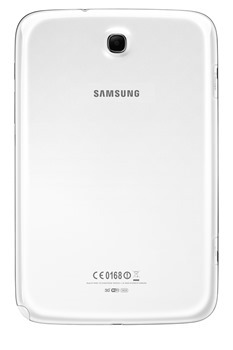 The rear camera is a serviceable 5 megapixels, with a typical 1.3MP front shooter. The 4600mAh battery should provide plenty of runtime. The smartphone-style hardware has proven divisive - the thing looks like someone took a rolling pin to the later generation of Galaxy smartphones. 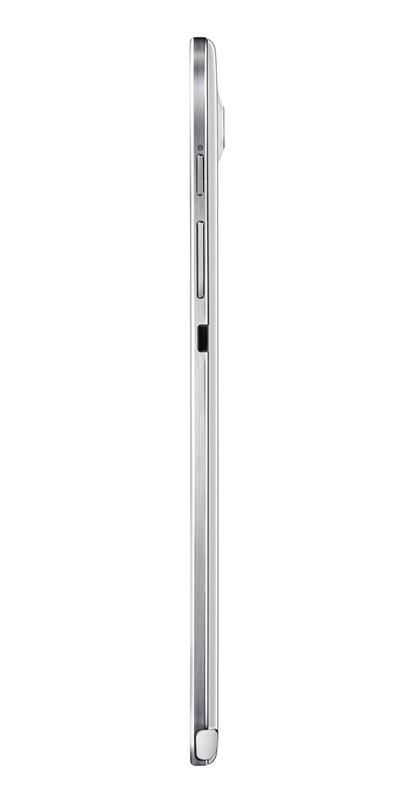 Samsung isn't saying exactly how thin the Galaxy Note 8.0 is, but at 210.8x135.9x7.95mm, it's not much bigger than existing 7-inch tablets. At the moment an HSPA+ version is confirmed for an international release with phone capabilities in some territories, but a WiFi version should be coming at launch or soon after. A worldwide release is scheduled for the second quarter of this year, though Samsung informs us that distribution in the United States has not been finalized. At the time of writing, there is no price information available. Update: you can get a few fleeting glances of the Note 8.0 in Samsung's ChatOn 2.0 commercial (featuring 100% more Camille Saint-Saens than ChatOn 1.0! ), below.